Convention Strategy Group | Tomorrow’s Ideas. 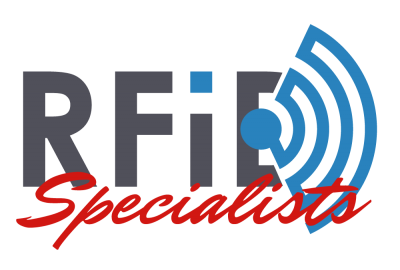 Convention Strategy Group is proud to offer the most integrate RFID attendee management system in the industry. Integration with client membership databases, extensive reporting, data security, full redundancy and our ability to completely integrate the “registration-housing-tracking-reporting” package allows CSG to be a consistent leading conference technology firm. Convention Strategy Group has been providing site selection services, registration, housing, lead retrieval and RFID attendee tracking technology services to exhibitors and attendees group for over 15 years. CSG is also one of the pioneers of implementing RFID (Radio Frequency Identification) to live events over 10 years ago. Convention Strategy Group has the experience and the true ability to exceed client expectations. Learn a bit more about which solutions are right for you, then contact us to discuss your project. We look forward to hearing from you! Contact us here or call (301) 656-7521. We pride our selves on finding the best and most desirable destination and venue for any meeting or event. Our years of experience combined with the ability to stay on top of industry trends, legalese, and leveraging industry relationships is one of the services that sets us apart from other companies. Our registration systems are customized and designed for maximum flexibility and adaptability. Live, real-time reporting is provided on every aspect of the registration process and clients have the ability to generate custom reports pre-show, and even on-site during the conference. CSG can handle all aspects of your housing program and more. The focus is on providing a complete housing solution to meet outlined needs: a proprietary reservation website, contract negotiation support, and special exhibitor sub-block services. We make housing easy. CSG provides trade shows all the tools that are necessary to attain the best possible ROI from exhibiting. Our time-tested lead management software, cutting edge proprietary hardware and proven operating systems provides exhibitors the best of all worlds. CSG’s RFID Attendee Tracking has set a new standard in providing a medium between show organizers, exhibitors and attendees. We offer an automated solution that facilitates onsite and post-show CE collection and management. WE ARE WITH YOU 100% OF THE WAY. Our management team boasts a combined 35 plus years of experience in trade show production, planning, sales, marketing and operations. CSG knows meetings – the key is we work with you.